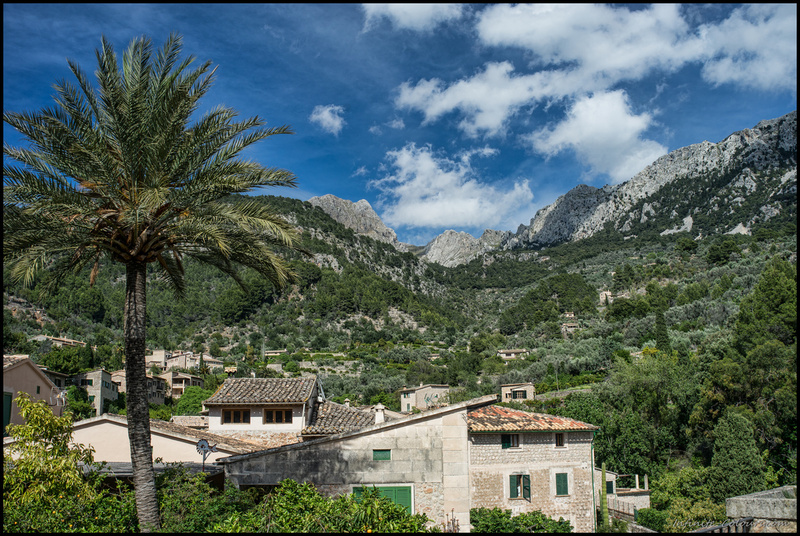 It’s been years since we’ve last visited Mallorca. 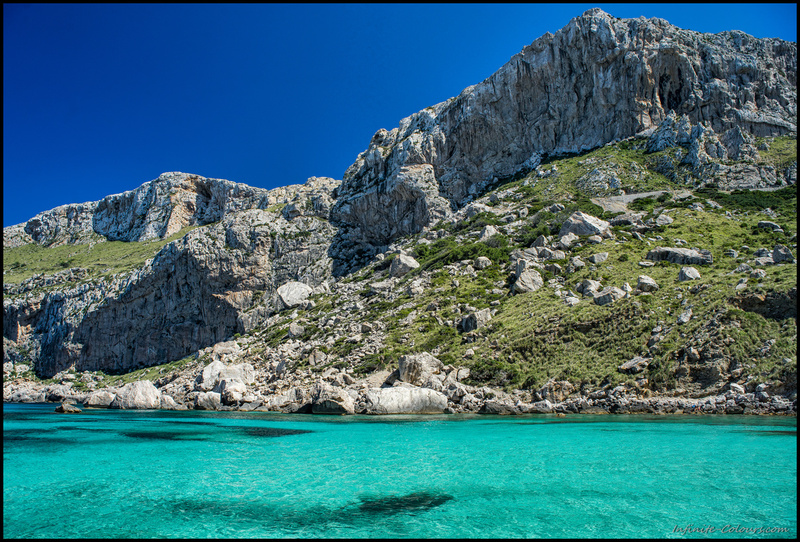 Back in the days spending time on the island equaled lazy beach holidays with friends or family in the southern or eastern parts of the island and that’s what basically drawed my memories. 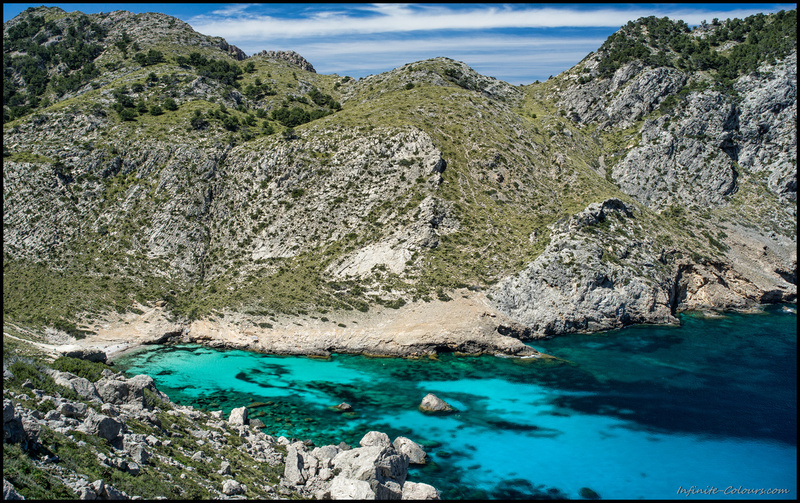 However, the baleares offer much more than just beach life. 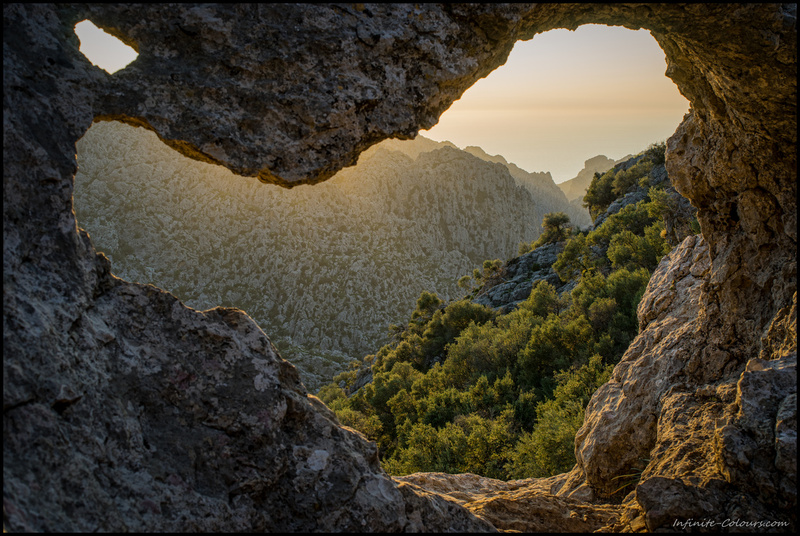 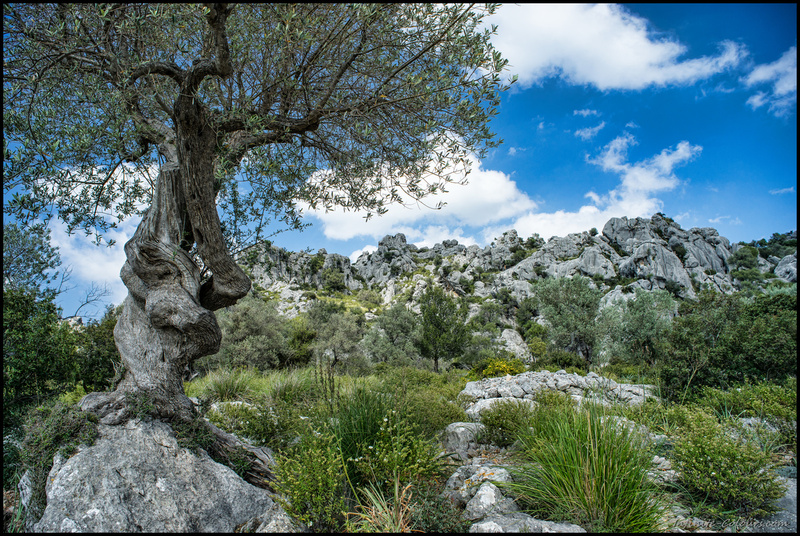 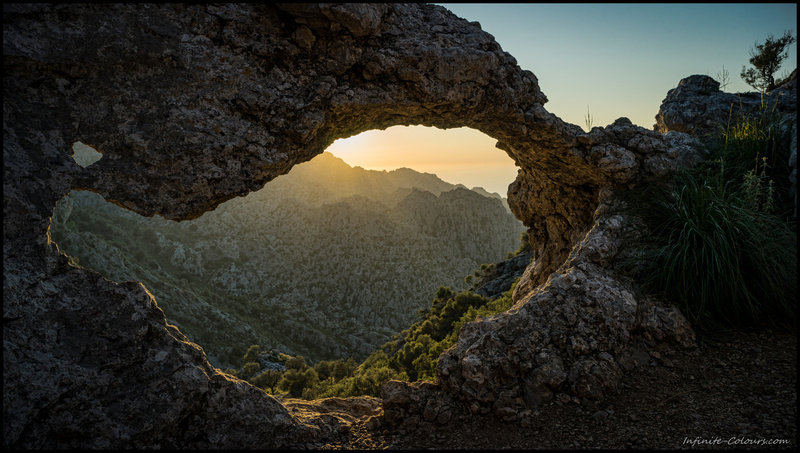 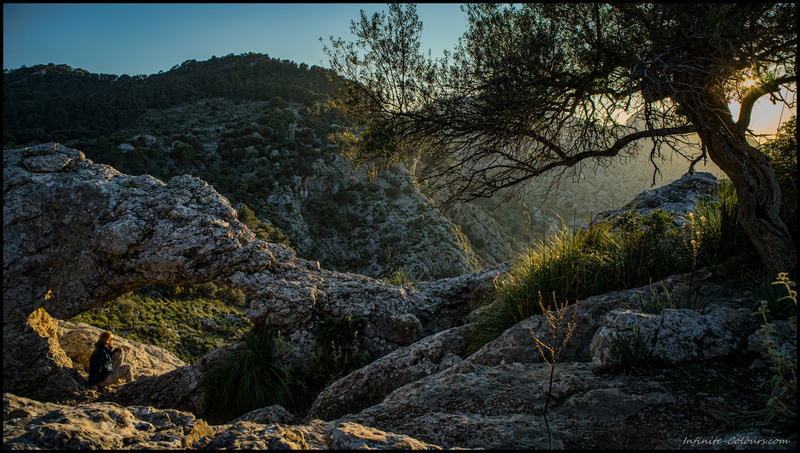 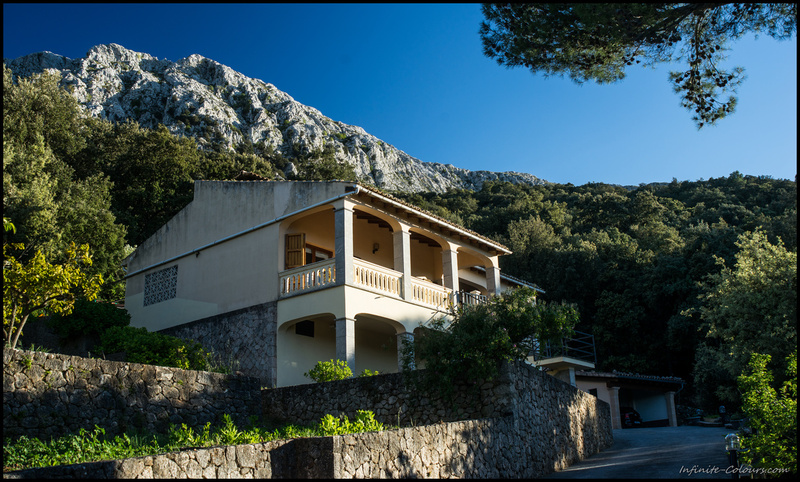 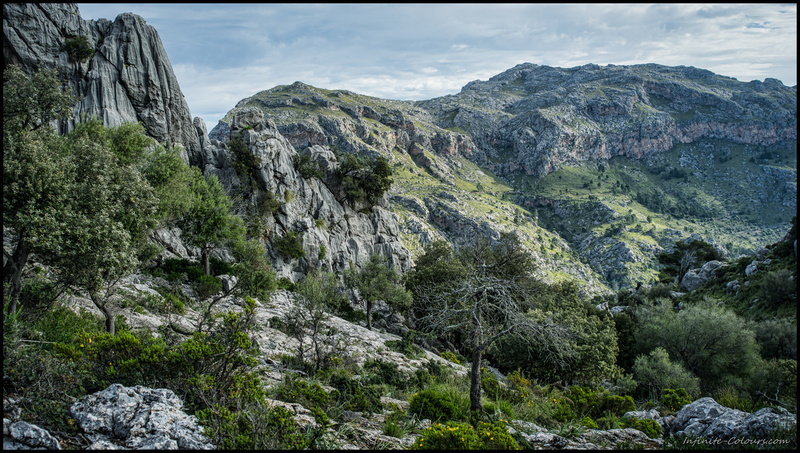 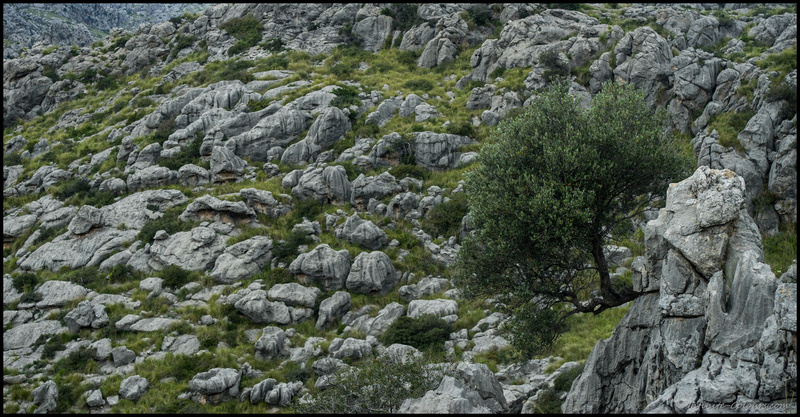 Mallorca’s west hosts the rugged Tramuntana range, beautiful karst mountains peaking more than 1400m above sea level. 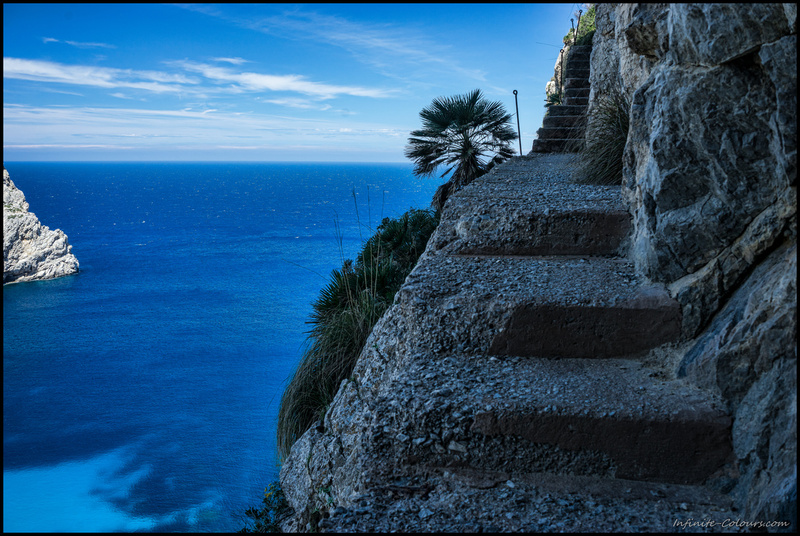 Not bad, especially with the sea almost always in sight! 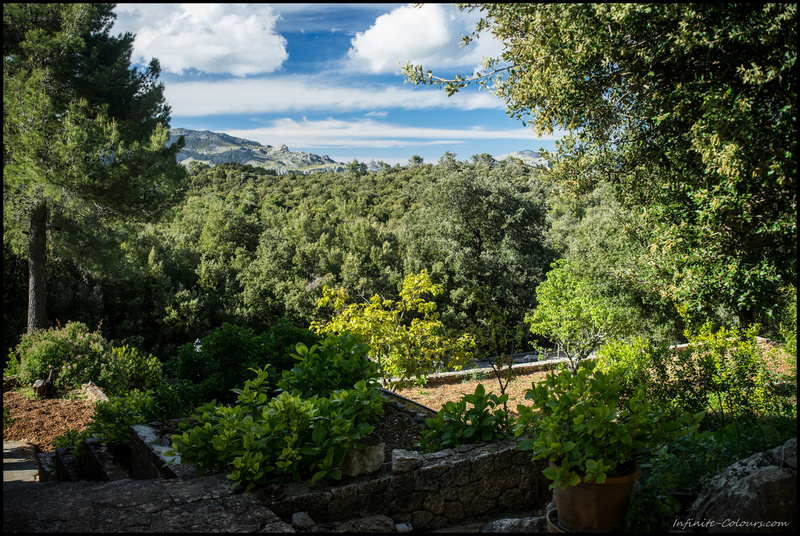 We chosed the tiny mountain village Escorca and rented a way too spacious, beautifully set finca for five days. 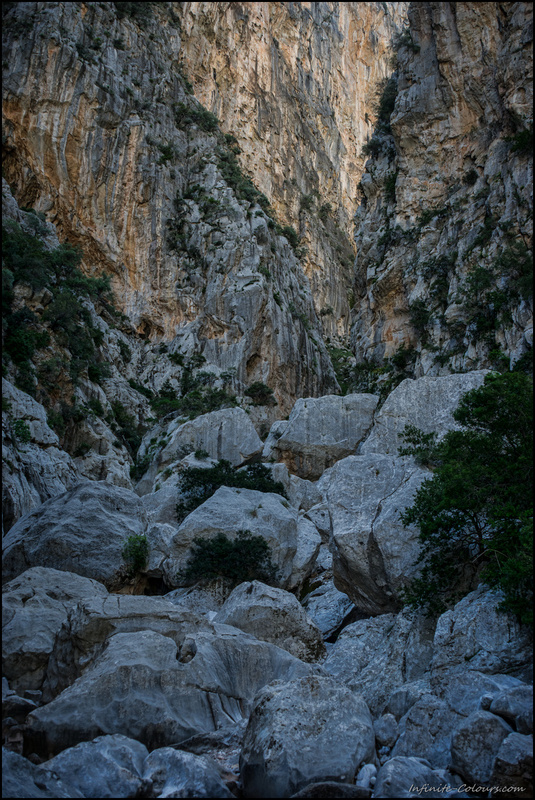 We planned to spend our first full day in the mountains hiking the Torrent de Pareis, an impressive karst slot canyon with 300m cliffs. 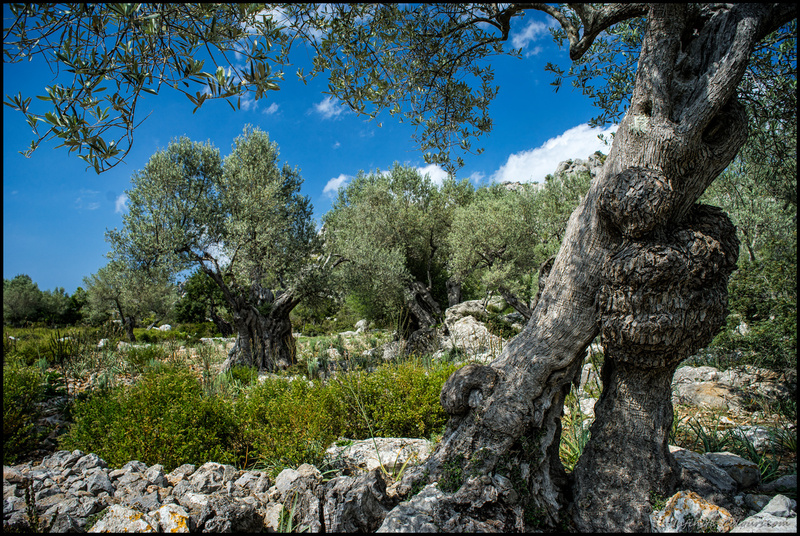 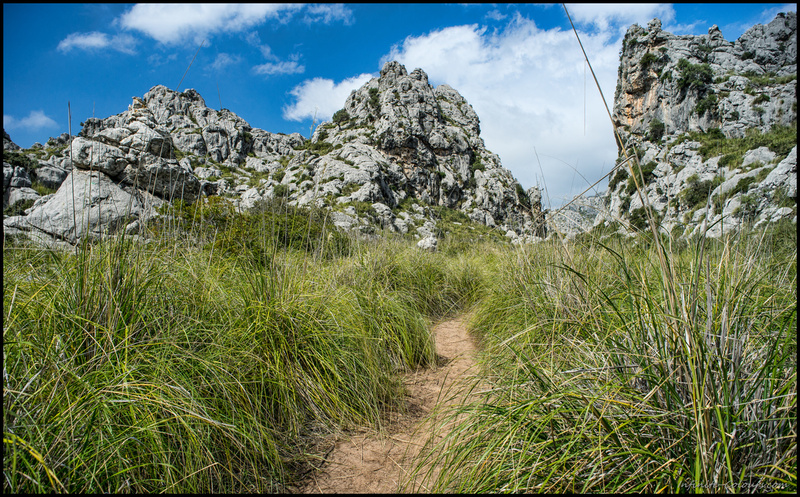 Right from the beginning at Escorca, the path meanders through gorgeous farm land set amongst rugged karst outcrops. 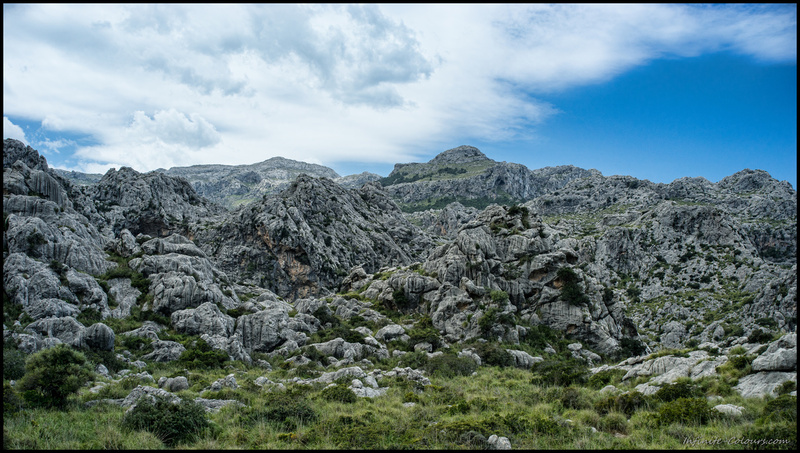 An amazing landscape! 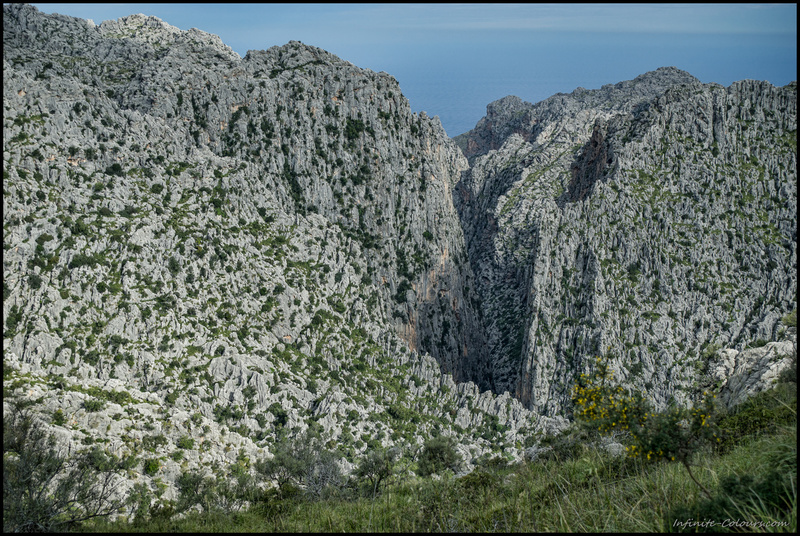 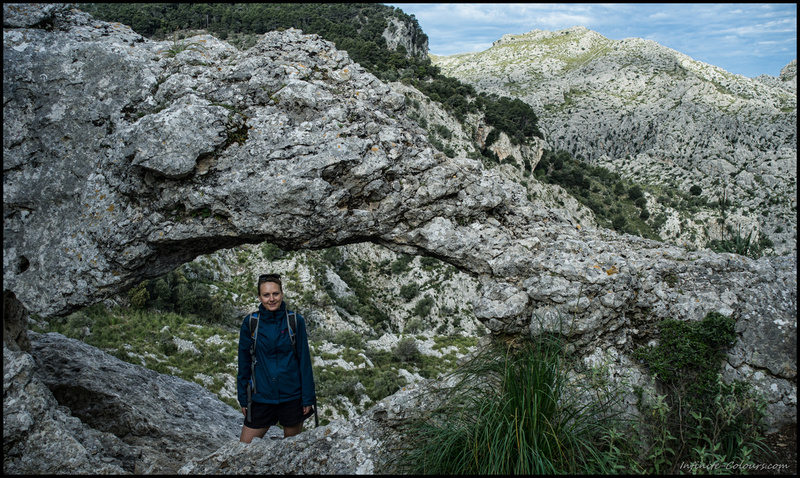 After a couple of 100m, the trail steepens sigificantly and offers stunning views of S’Entreforc, where Torrent de Gorg Blau and Torrent de Lluc confluence and mark the actual beginning of the Torrent de Pareis canyon. 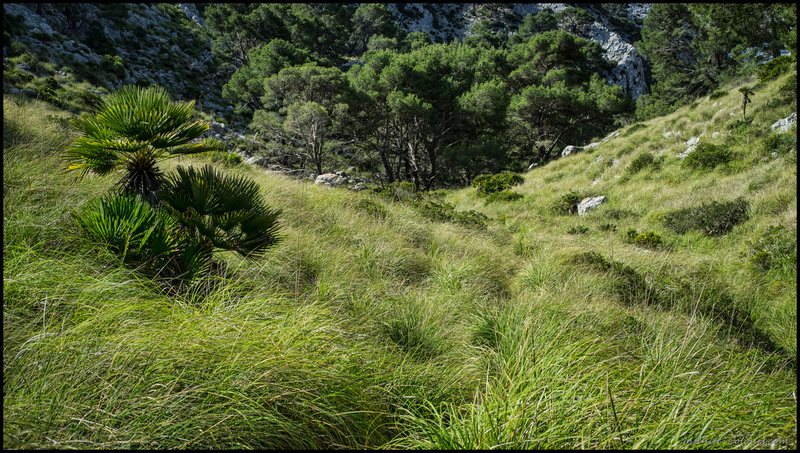 After the initial descent, we found ourselves at the foot of the canyon, S’Entreforc. 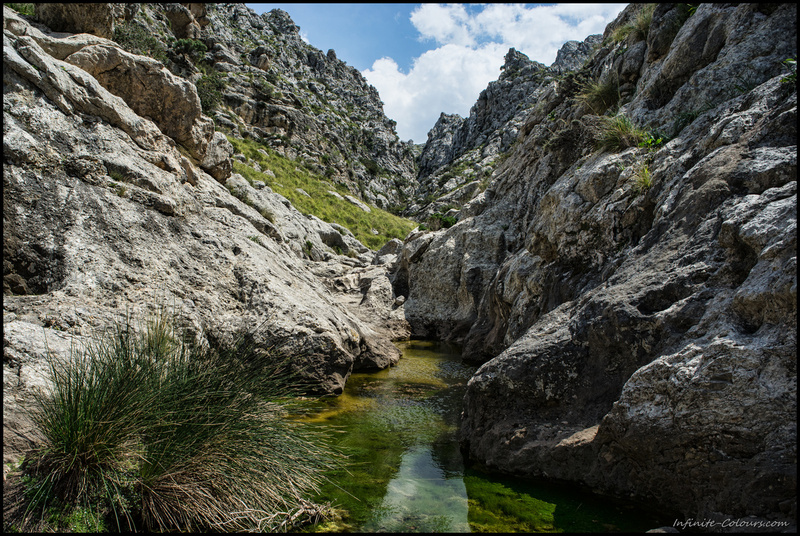 From now on, a lot of rock hopping slows down the walk in the Torrent! 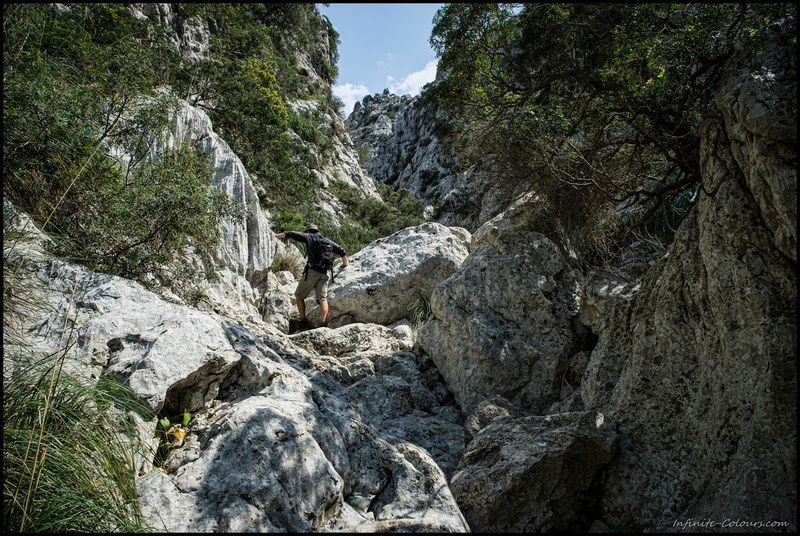 It was a fun hike, mostly rock hopping but also with some “technical” parts where you’d have to climb down 3-4m drops or squeeze through tiny slots in the rocks. 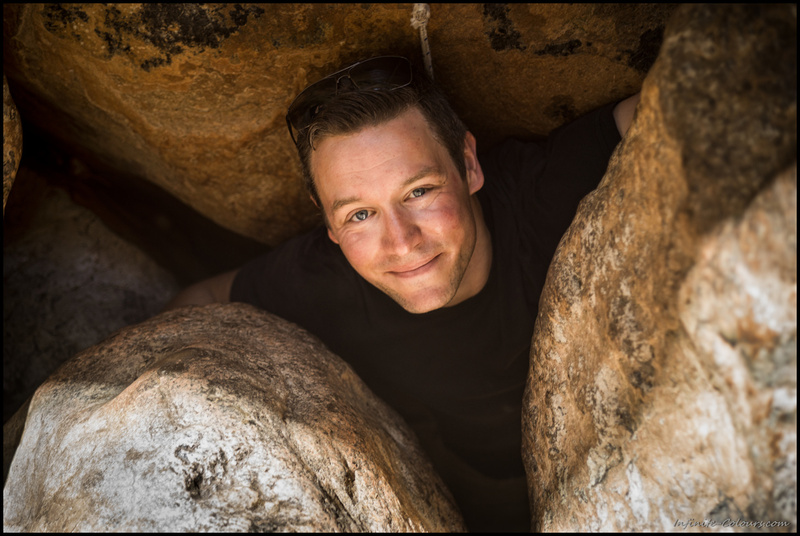 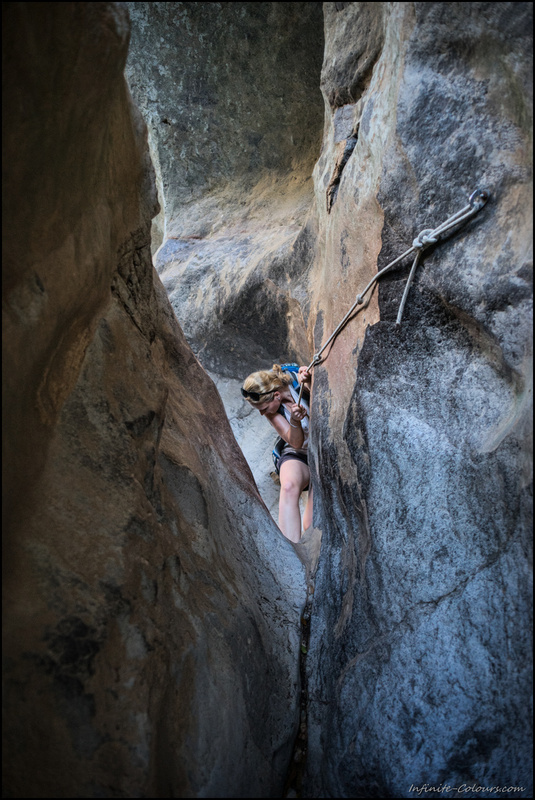 Without ropes, it would be next to impossible to complete the trail because the rocks are so slick in places that you cannot really climb them. 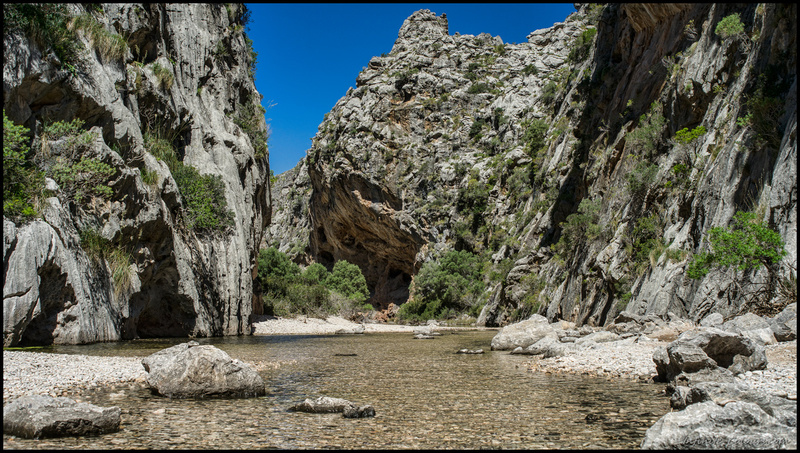 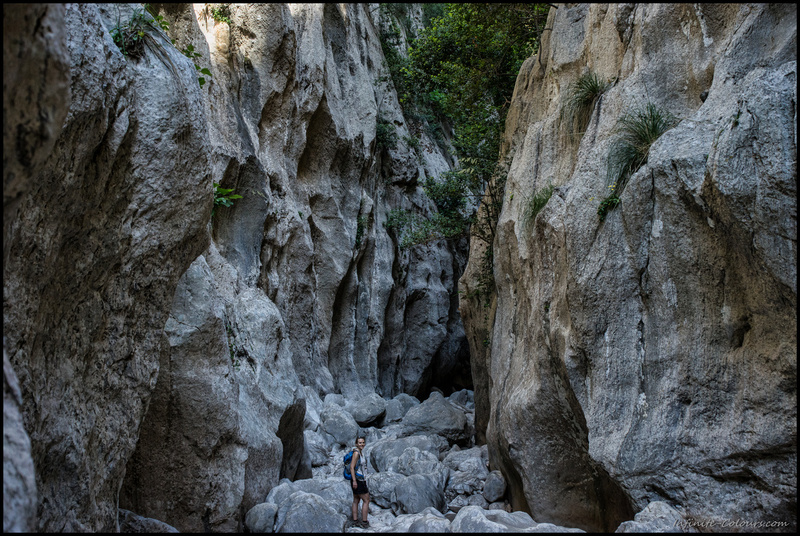 Torrent de Pareis must be some of the best hikes on Mallorca! 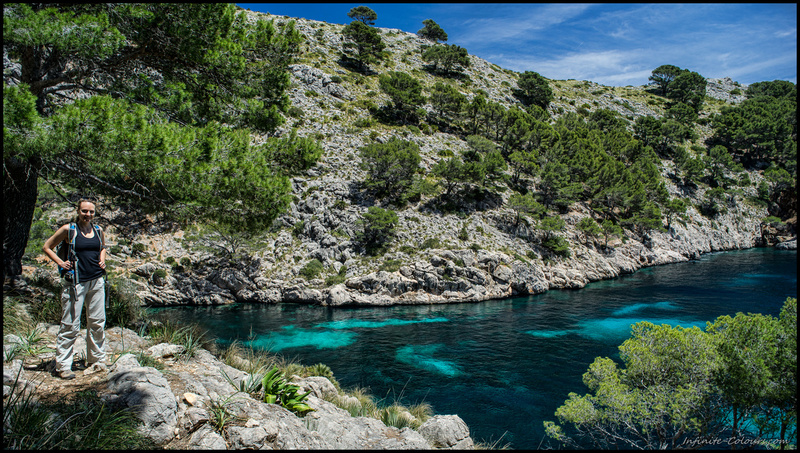 After having the canyon almost all to ourselves, we were kind of shocked of how packed the (admittedly beautiful) Sa Calobra bay was. 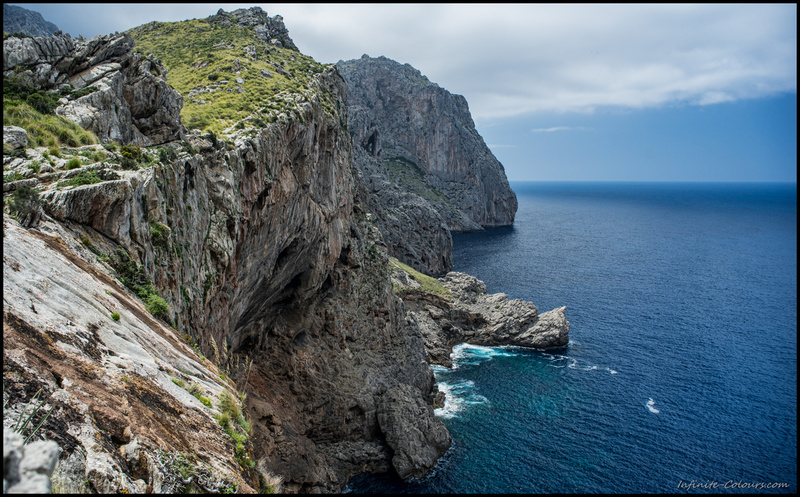 Still thrilled by the hike, though, time flew by quickly as we watched the suicidal goats roaming the cliffs that loom over the bay and walked to the bus station to catch the next ride back to Escorca. 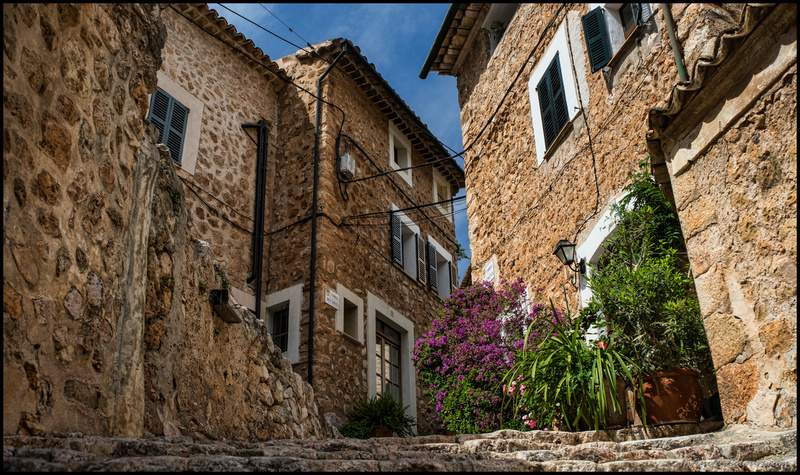 The next day we went out to explore Biniaraix and Fornalutx, two adorable villages set a valley famous for its abundant orange plantations, on a more leisurely pace. 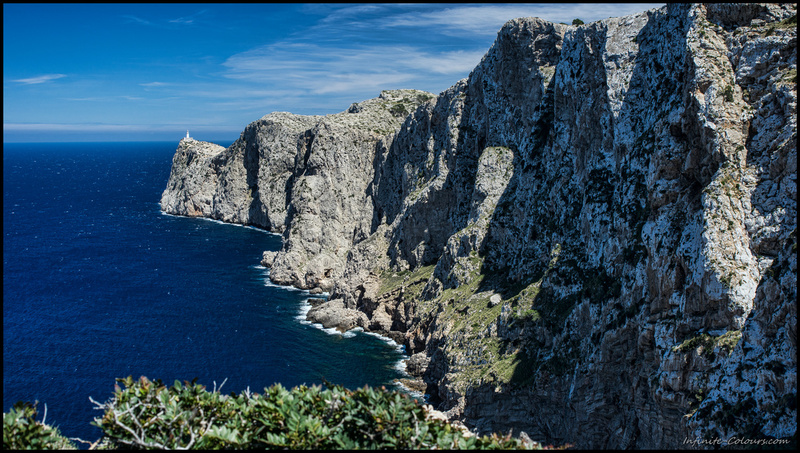 The next day offered marvelous spring weather again as we drove up to Mallorcas northern cliffs, Cap de Formentor. 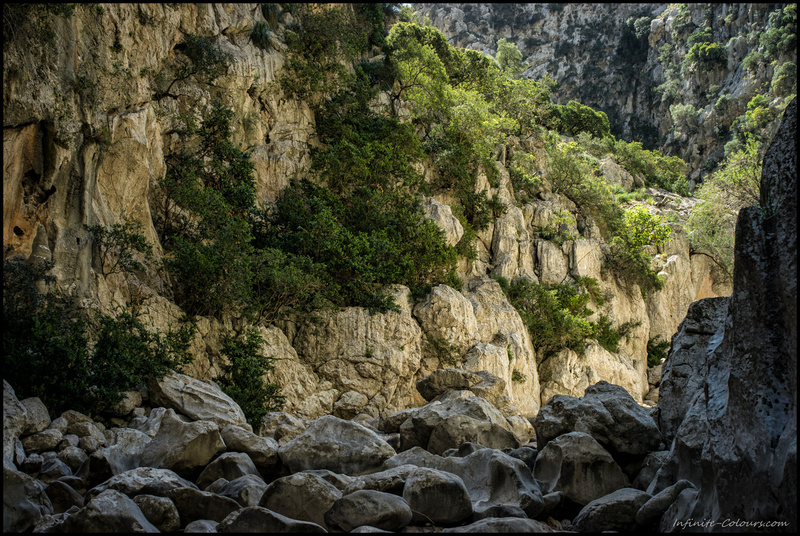 The access roads were already busy even that early in the season, but once again it payed off to take the effort and get a little bit off the main path. 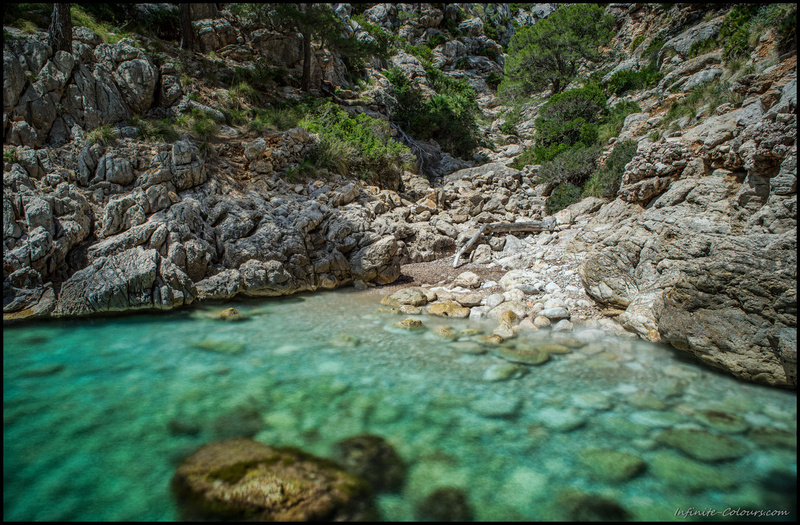 A faint track on the eastern slopes of the peninsula led us to two secluded little coves which we had completely to ourselves. 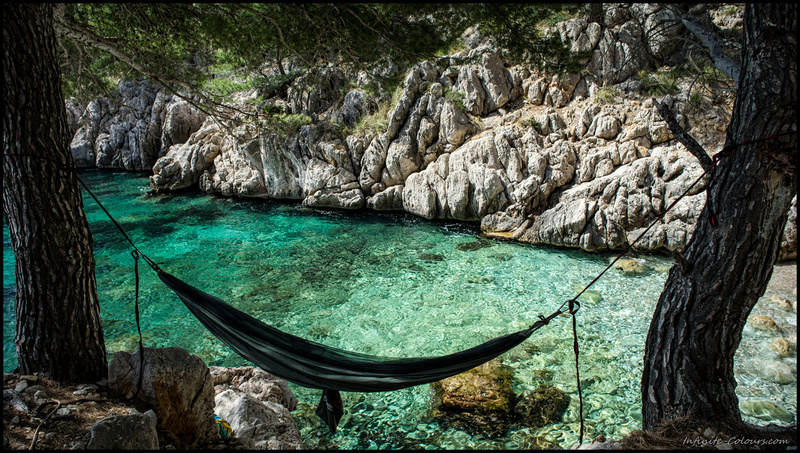 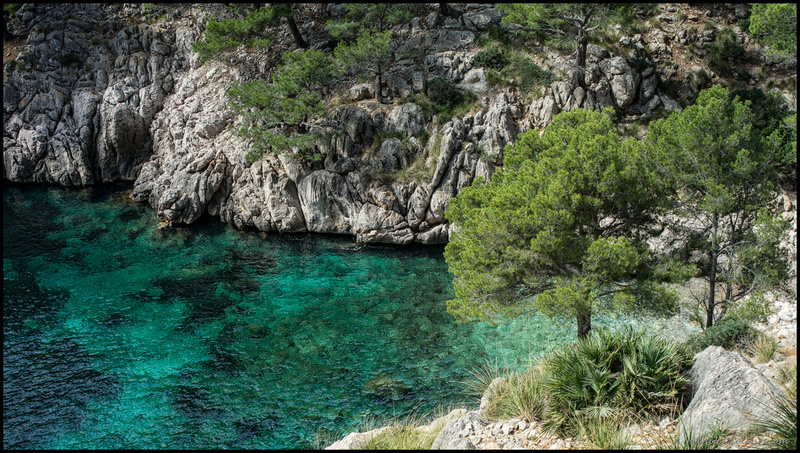 The tiny Cala Murta is a gorgeous spot to tie a hammock and doze away in the shade of the pine trees! 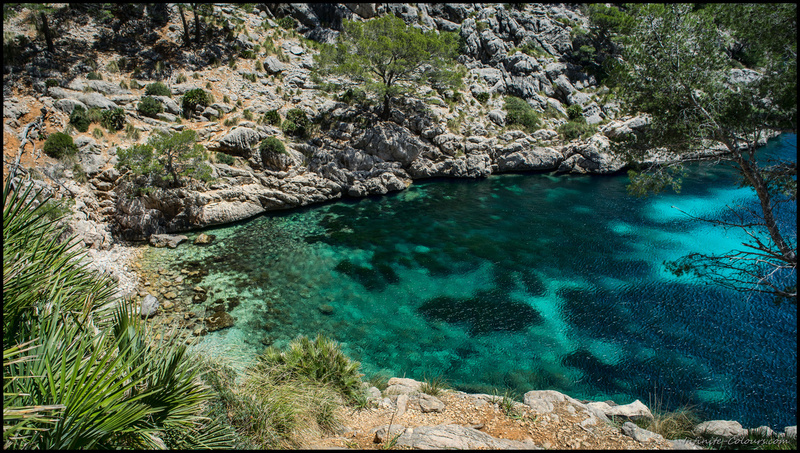 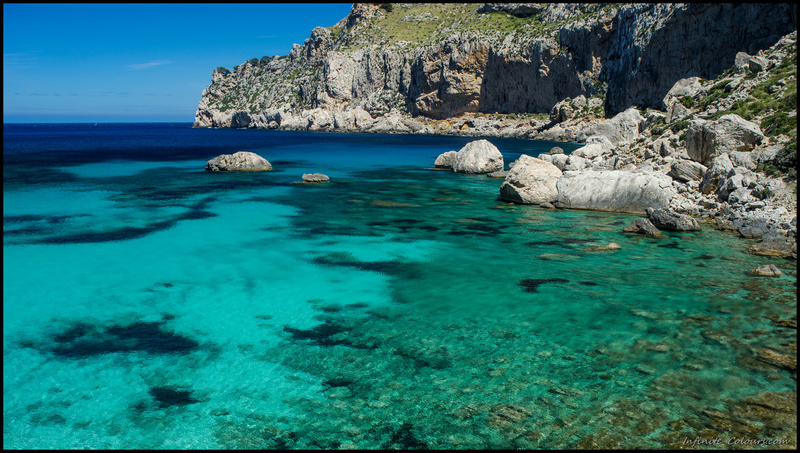 Impossible to not go for a dive at Cala Figuera’s turquoise waters! 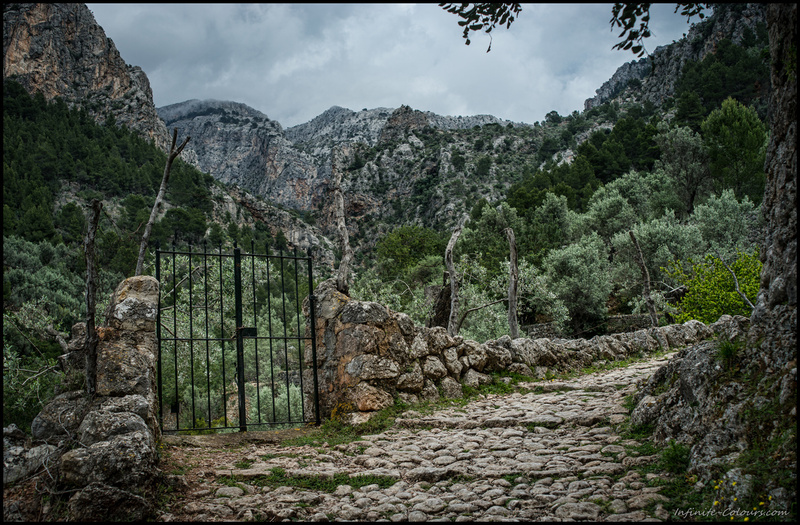 On our last full day on the island, we did the Torrent de Mortitx hike, a loop that starts and ends on the property of Vinyes Mortitx, a finca publica. 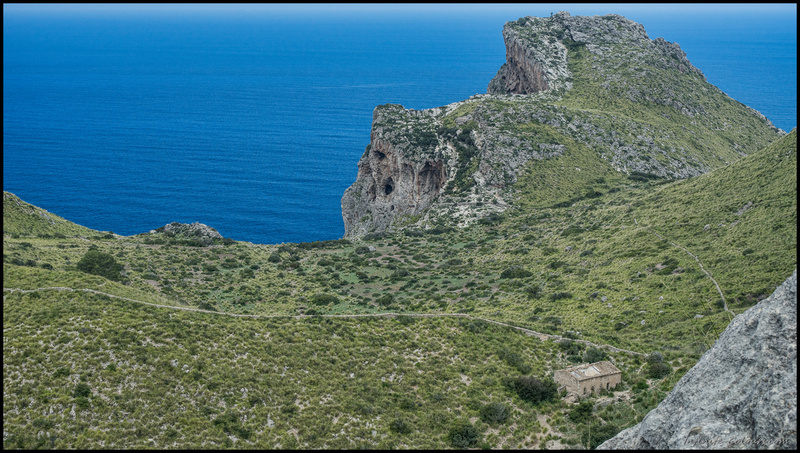 After traversing beautifuly rugged karst terrain on the first half of the loop, the cliffs of Caleta D’Ariant and an abandoned farmhouse soon come into sight. 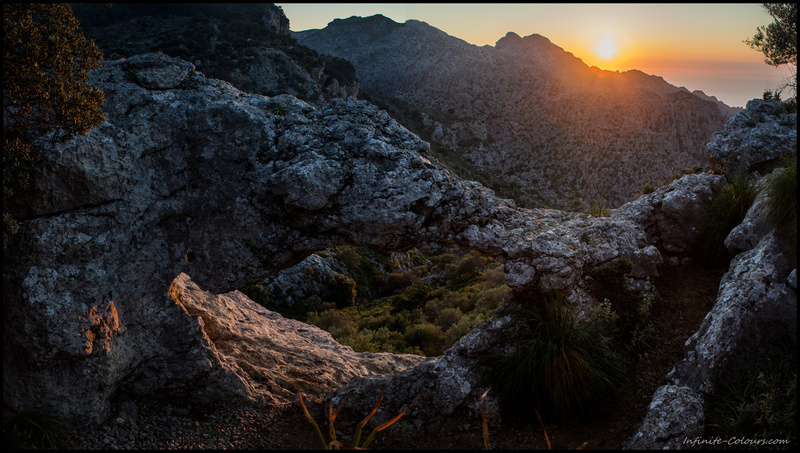 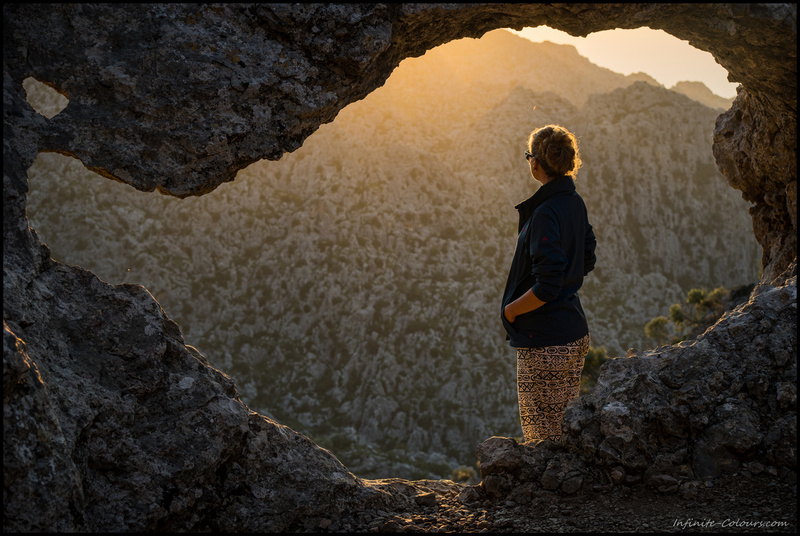 All that hiking and scrambling screamed for a proper sundowner and that little rock arch above Torrent de Pareis proved to be a sublime spot!